CF Michael Bourn | Bourn became a free agent following the 2012 campaign, leaving a void at the top of the Braves’ lineup and in center field. The 30-year-old earned his second All-Star selection and some NL MVP votes last season, but his strikeouts increased and his batting average dipped to its lowest point since 2009. Today, he remains on the free agent market with an asking price of $80 million. 3B Chipper Jones | Injuries were an issue for the 40-year-old, forcing him to average just 111 games played over the past three seasons. The Braves won’t be losing much in productivity, but they will be losing a force in the clubhouse and a certain Hall of Famer. SP Tommy Hanson | A drop in velocity coupled with shoulder issues and depth in starting pitching allowed general manager Frank Wren to ship Hanson to the Angels. The right-hander went 45-32 with a 3.61 ERA in four seasons with the Braves. A 5.69 ERA following the All-Star break signaled the beginning of the end for the 26-year-old in Atlanta. CF BJ Upton. | Upton was the Braves top pick to replace the departed Bourn, agreeing to a five-year deal worth $72.25 million. Upton takes Bourn’s spot in center and will hit somewhere in the middle of the order. The 28-year-old hit 28 home runs last year, a career high. He's also a speedster, swiping 31 bases last season. RP Jordan Walden. Walden is a nice addition to the Braves bullpen and arrived via the trade that sent Hanson to the Angels. He’s young and brings a fastball with movement that tops out in the high-90s. He was the Angels' primary closer in 2011 but battled shoulder issues throughout much of last season and became expendable when the Halos signed reliever Ryan Madson. Left fielder | The free agent market is bare so the Braves may be forced to use Martin Prado in left and rely on Juan Francisco and Ramiro Pena at third. The club also has been linked to the Rockies and outfielder Dexter Fowler. 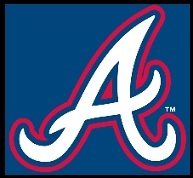 - Ean Dunn covers the Atlanta Braves for chatsports.com. Follow him on Twitter @EanDunn.